The Tartan Spirit Collection brings tartan for women into the 21st Century. Colourful and fun to wear this is an innovative concept of embroidered and beaded silk tartan and pure wool tartan accessories coordinating with cashmere jumpers and skirts. 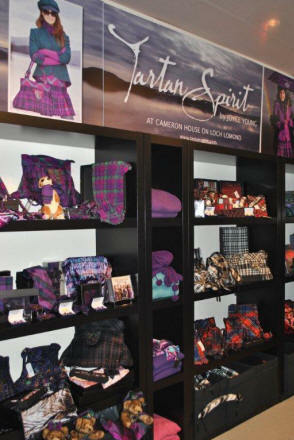 Tartan Spirit is Modern, Stylish and Scottish with International Appeal. 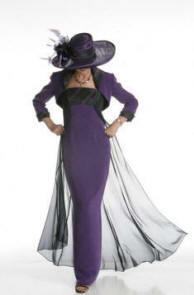 A fashion concept that transcends age. Tartan Spirit was launched with great success in January 2006 at the Scottish International Trade Exhibition. 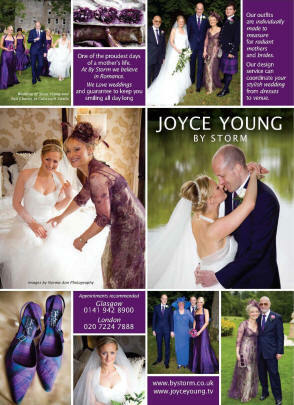 Designer Joyce Young is the name behind the By Storm brand which is at the top end of the wedding industry in Scotland. 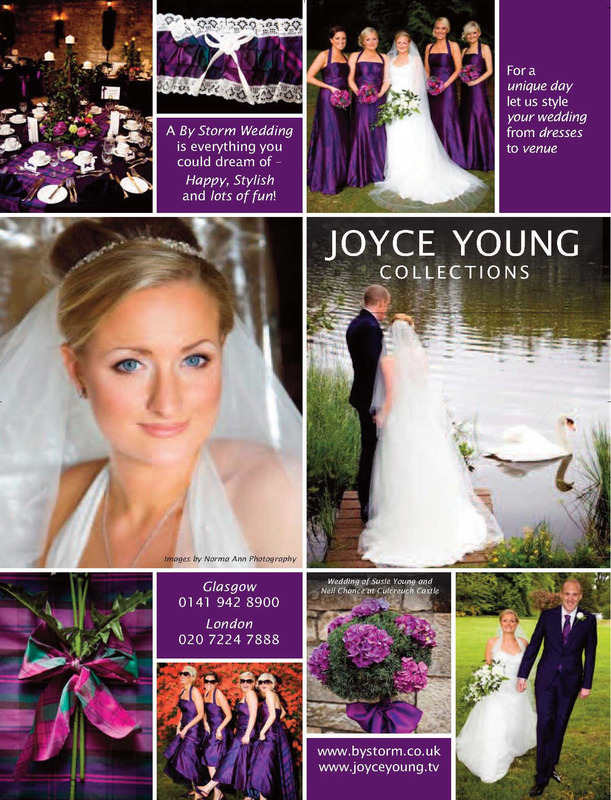 She has shops in Glasgow, London and Cameron House Hotel on Loch Lomond.The factory and design studio/showroom is in Glasgow. The Tartan Spirit Collection is currently sold by some of the most prestigious retailers in Scotland including Gleneagles Hotel, Skibo Castle, Jenners, The National Gallery and Kelvingrove Gallery and is exported to Japan. 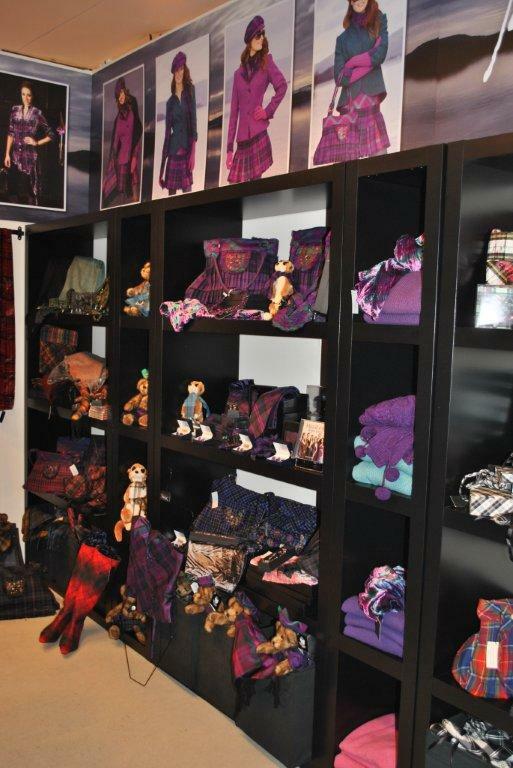 Tartan Spirit has also been showcased on the Dressed to Kilt catwalk in New York and Los Angeles with Sean Connery and Donald Trump guests of honour and celebrities wearing the outfits. 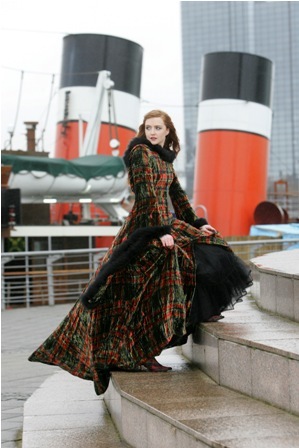 Most recently the collection was shown in New York at a Gala Reception for the National Trust for Scotland U.S.A. at the Metropolitan Club. 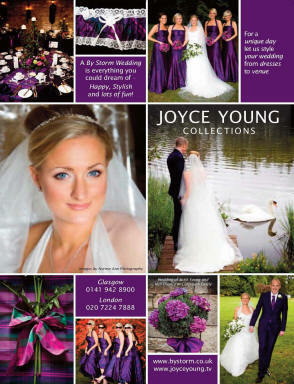 A Tartan themed wedding is spectacular. 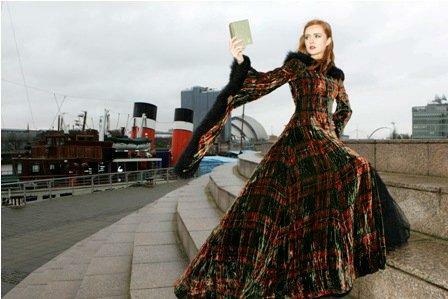 Scots girls worldwide can get married making a real statement with a wedding dress from the Tartan Spirit Couture Collection which teams up with the groom’s kilt. Add in coordinating bridesmaids and mothers and the colourful combination is stunning, Scottish and unique. You don’t even have to be Scottish – it’s a great look and most people can find a Scottish connection somewhere in their family tree – or just make one up! 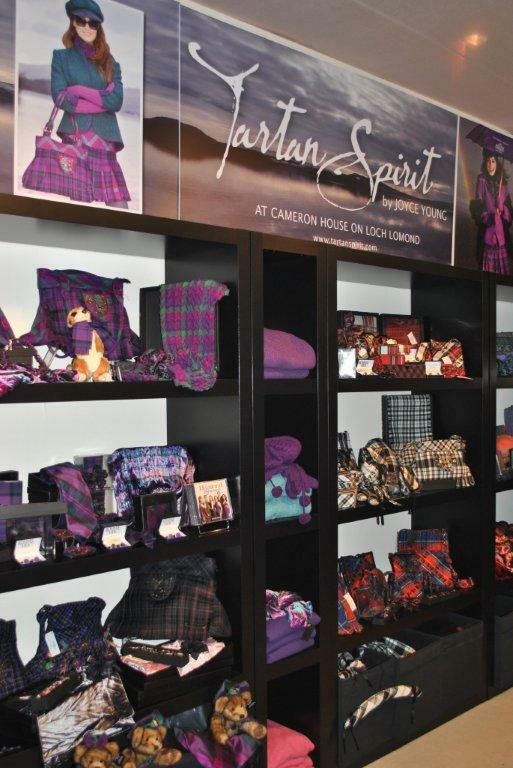 Tartan Spirit Couture is currently sold exclusively through the By Storm shops in Glasgow and London and Cameron House Hotel.